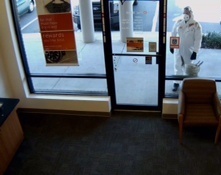 Hillsborough County Sheriff’s Office detectives are seeking the public’s assistance to identify a man that robbed the PNC Bank on Bloomingdale Ave. on Wednesday, March 18, claiming to have a bomb. 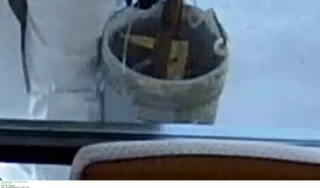 According to detectives the suspect is a male, 26 – 35 years of age, 5’1″ – 6’1″, brown hair with bleached blonde goatee with dark roots. 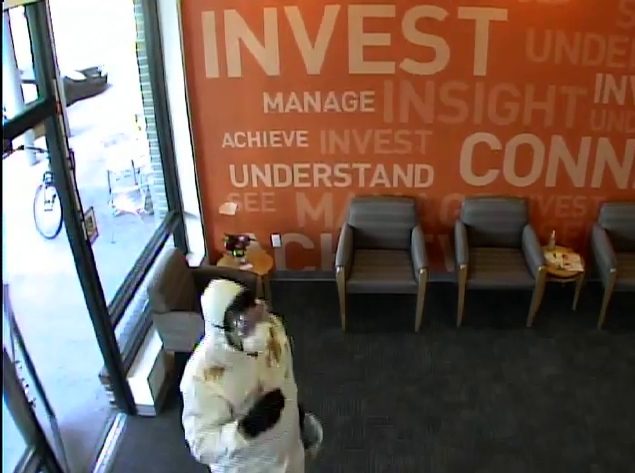 Wearing a full body painter’s suit that included a painter’s hood, clear goggles, and dark gloves, the suspect entered the bank located at 821 east Bloomingdale Ave. 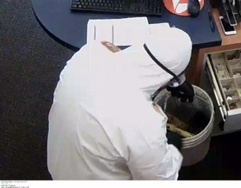 The suspect entered the bank and confronted the teller, while implying that he had a bomb, deputies said. After receiving an undisclosed amount of currency, he fled the area on a blue mountain bike to an unknown make and model vehicle. 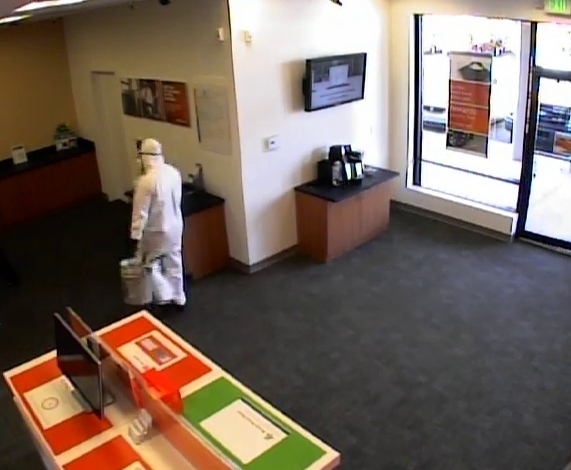 The incident occurred around 5 p. m. , similiar to another recent robbery in the same area.